Pick up from Delhi railway station / airport and proceed to Hotel, after check inn take fresh up and visit Qutab Minar ,India Gate and the grand President’s House, Red fort, Mahatama Gandhi Memorial. 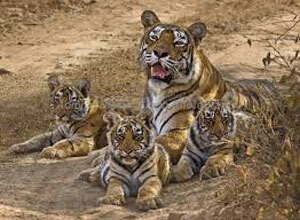 Also visit Laxmi Narayan temple popularly known as Birla Temple and later back to Hotel and overnight stay in Delhi. After breakfast commence drive to Agra. Agra is a must visit city on any Tour of India. Home of the World famous Taj Mahal, Agra provides avid glimpses of Mughal architecture. To be in Agra is like taking a walk through India's Mughal period history. Upon arrival our check into the hotel. After quick wash and change. Visit Taj Mahal, the most extravagant monument ever built for love, it was constructed by Mughal emperor Shah Jahan as a memorial to his queen Mumtaz Mahal, made out of white marble took 22 years to complete (1630-1652 AD. Its marble exterior reflects rose and golden tints at sunrise and sunset, while it is dazzling white during the day and glowes pearl-like in the moonlight and during the monsoon. After Agra Fort, the monument that is most important in Agra is the Tomb of Itmad-ud-Daulah or "Baby Taj" as it is called sometimes. A highly ornate edifice, this mausoleum is considered as the imminent precursor of the Taj Mahal as far as elaborate carvings and inlay work are concerned. Though the structure does not have much to offer architecturally, it makes a clear departure from the earlier Mughal tombs built during the period and is softer and with many inlay carvings. Night stay in Agra. After having visit commence drive to Jaipur. 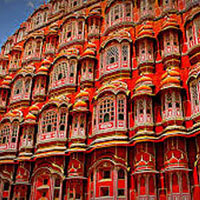 The fabled "pink city" of the desert named after Jai Singh, the former Maharaja of Jaipur. This is the only city in the world symbolizing the nine divisions of the universe through the nine rectangular sectors subdividing it. The palaces and forts of the yesteryears, which were witnesses to the royal processions and splendors are now living monuments. Visit to Fatehpur Sikri : A perfectly preserved red sandstone "ghost town" which was the estranged capital of Mughal emperor Akbar, built in 1569 and deserted when its water supply failed. Upon arrival, check into the hotel. Night stay in Jaipur. Early morning enjoy elephant ride while going up to Amber Fort. 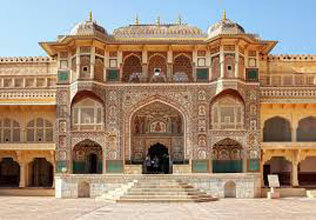 AMBER FORT PALACE - Amb er is the classic romantic Rajasthani fort palace. Its construction was started by Man Singh I in 1592, and completed by his descendent Jai Singh I. Its forbidding exterior belies an inner paradise where a beautiful fusion of Mughal and Hindu styles finds it's ultimate expression. A delightful blend of Mughal and traditional Rajasthani architecture, the City Palace sprawls over one-seventh of the area in the walled city. 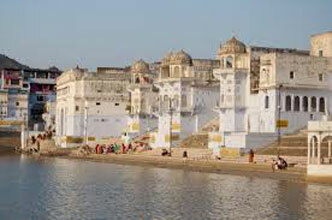 It houses the Chandra Mahal, Shri Govind Dev Temple and the City Palace Museum. 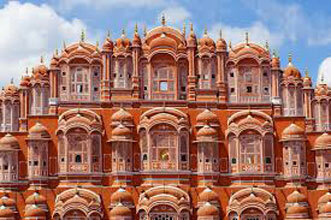 HAWA MAHAL - The ornamental facade of this "Palace of Winds" is a prominent landmark in Jaipur. 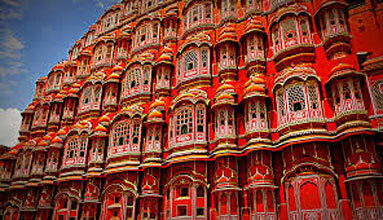 Their five-storey structures of sandstone plastered pink encrusted with fine trelliswork and elaborate balconies. The palace has 953 niches and windows. Built in 1799 by Pratap Singh, the Mahal was a royal grandstand for the palace women. After having visit return back to the hotel. 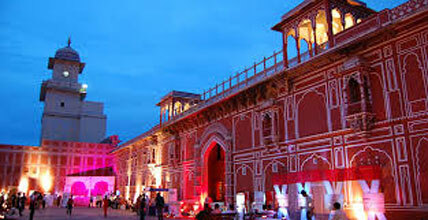 Night stay in Jaipur. After breakfast, check out from Hotel and proceed to Delhi,on the way visit Brahmaputra temple at Pushkar, arrive Delhi check into Hotel and after fresh up visit Akshardham Temple in Delhi, later back to Hotel and overnight stay in Delhi.